I have been trying to make some freezer meals before Baby M 2.0 arrives so I pulled this trusty recipe out of my recipe box. 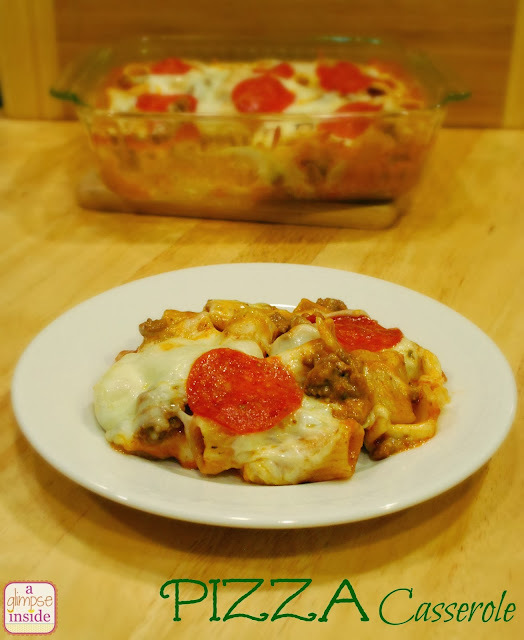 It is an easy recipe, which is always great, and who doesn't love pizza? This recipe yields a large amount of food but you could easily cut the recipe in half to make less. I chose to make the entire recipe since I wanted some to freeze. 2. Brown the ground beef along with the chopped green pepper. Drain. 3. As you are browning your meat, cook the whole box of pasta. 4. Combine the Cream of Mushroom Soup, Tomato Bisque Soup, Pizza Sauce, Water, Oregano, and Garlic Powder with the Cooked Ground Beef and Cooked Noodles. Mix well. 5. Spread the mixture into two 9x13 pans (if making the whole recipe) or 1 9x13 pan (if cutting the recipe in half). Sprinkle with Parmesan Cheese to taste. 6. Then sprinkle with Mozzarella Cheese and dot with Pepperoni. 7. Bake at 350 degrees for 45 mins. covered then 15 mins. uncovered. 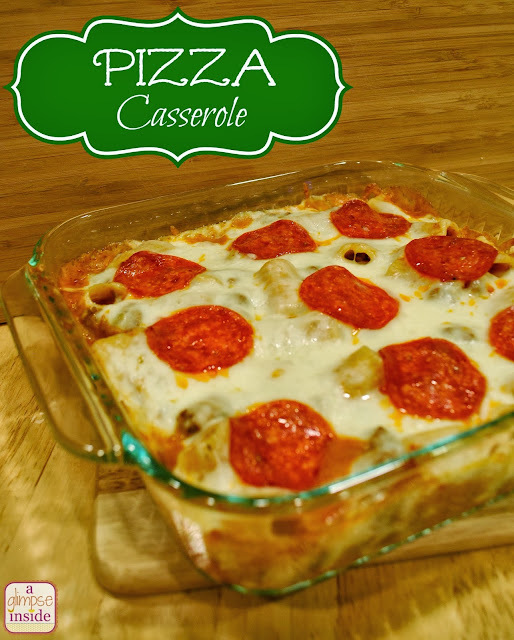 I can't wait to make this...love all the ingredients! I know my family will love this!